She's happy when you're happy. Perhaps you haven't moved out yet, still get the occasional cheeky lump sum or she helps pay the phone bill. However your mum offers support, this Mother's Day let her know it doesn't go unnoticed. 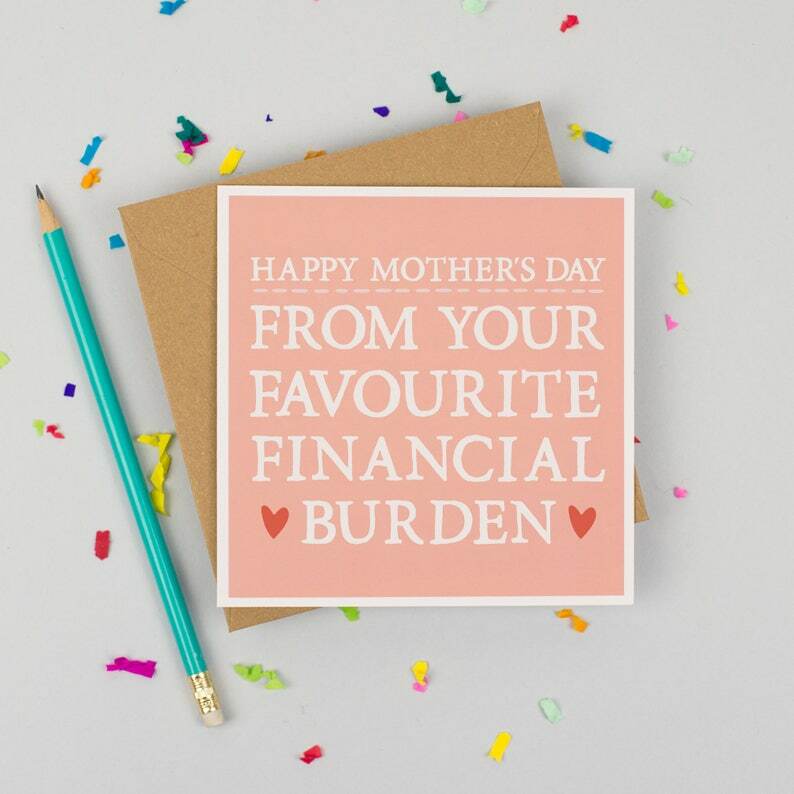 A humorous, cheeky card which reads: "Happy Mother's Day From Your Favourite Financial Burden"
Printed in the UK and supplied in a sealed cello bag with a white envelope. 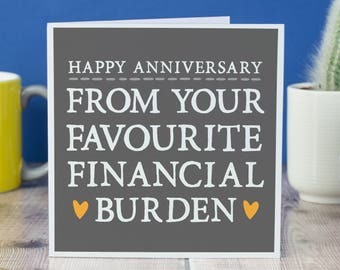 Due to a supplier issue, this card will now be dispatched with a white envelope as opposed to the kraft envelope pictured. 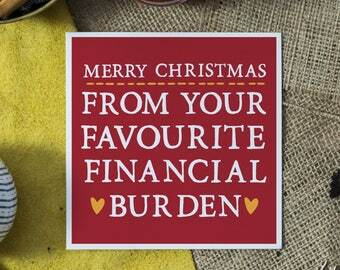 All cards are FSC accredited so you don't need to feel guilty about the trees. 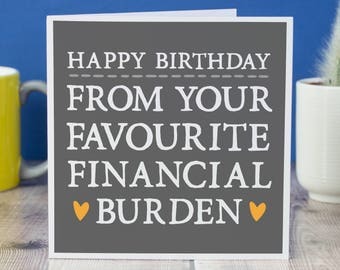 Funny Mother's Day Card - Mother's Day Card - Card for Mum - Card for Mom - "Best Mum I've Ever Had"
All payments are processed securely through Paypal using a Paypal account or by using visa, mastercard, american express, solo or most other forms of card or using Etsy's Direct Checkout function. Don't hesitate to contact us if you're unsure of the process! Please see www.paypal.com for information on PayPal payments. This shop also accepts Etsy Gift cards. It is your responsibility to cover return postage costs and to ensure that returned goods are packaged and shipped responsibly to avoid any damages. Items will be dispatched within 1-2 days of payment being received. All items will be sent via Royal Mail 1st Class for UK orders or for overseas purchases via Airmail. Please be aware delivery times are only an estimate and are subject to change during busy periods. To keep shipping costs as low as possible for you items are not tracked. (Royal Mail's fault, sorry!) You can upgrade to International Tracked Shipping and UK Tracked Shipping at checkout. UK tracked shipping is guaranteed to arrive the next day for orders before 12pm (Monday - Thursday) but please make sure someone is in to sign for your delivery. We're based in Scotland and all orders are shipped using either Royal Mail's 1st Class or fastest international service. Please consult our estimated shipping times for more info. Funny Mother's Day Card - Mother's Day Card - Card for Mum - Card for Mom - "Today Housework Can Wait"